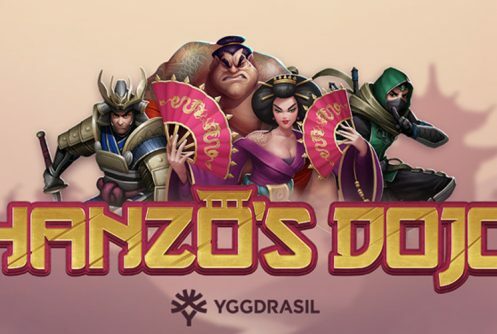 Hanzo’s Dojo is a medium variance Yggdrasil video slot with 25 paylines, 5 reels that pays a top jackpot (non-progressive) of 2,100x stake on one spin. 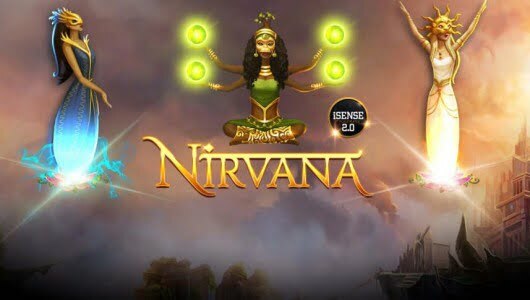 With 2 free spins features, Expanding Wilds and Colossal Symbols the stage is set for an entertaining gaming experience. 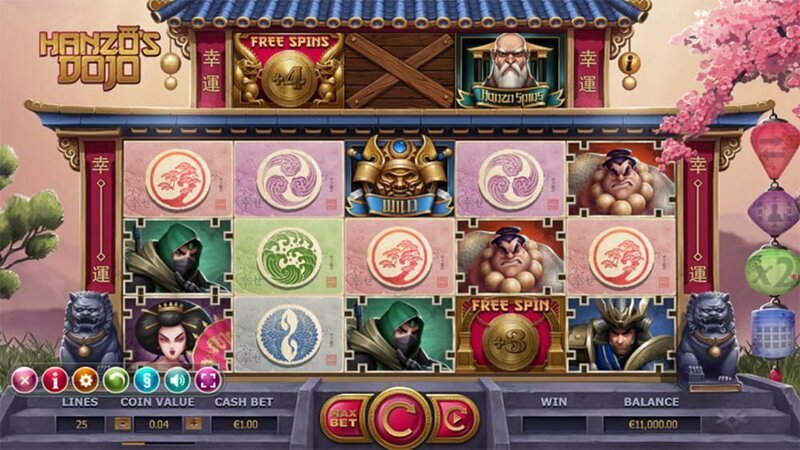 The developer further spices things up with the addition of a Mini-Slot feature known as the ‘Rooftop’ bonus; it offers 3x free spins features, wild reels along with a colossal fighter symbol. The visual side of Hanzo’s Dojo is an amalgamation of colourful graphics while the theme celebrates renowned Japanese sensei, Hattori Hanzo. Hanzo was a famed Japanese warrior who trained some of the most prolific fighters in Japanese history. Symbols on the reels celebrates the theme throughout. They are tsuru cranes, fierce winds, waves, bonsai trees, samurais, ninjas, sumo wrestlers, wild and Fan. The RTP or average return percentage of Hanzo’s Dojo is 96.1% (House Edge 3.9%). With 25 paylines the betting limit starts at £0.25 up to £125, the slots is playable on both mobile devices and PC desktops. Before you dive right in and play it for real cash we suggest you play it in the ‘Free Mode’ first. 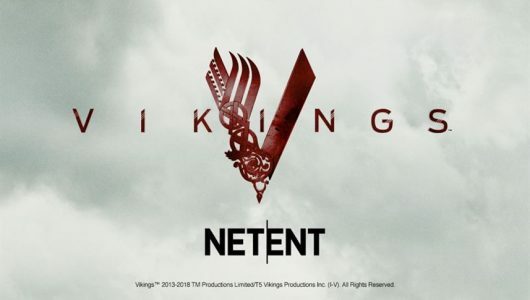 The game is equipped with extra features such as Max Bet, Auto Play, audio, coin range and graphics settings that makes it more convenient to play. There’s a wild symbol too (Samurai’s Helmet helmet), winning combinations are completed by it when it substitutes symbols adjacent to it bar the scatter. This is known as the Sensei sector, the Rooftop Slot feature is a mini slot game situated just above the reels. When the symbols appear in the mini slot machine the feature is triggered. Here you benefit from expanding wilds, 3x mini free spins plus 3 Mystery symbols, the symbol that is revealed sticks to the reels, it unlocks the free spins feature with extra goodies too. 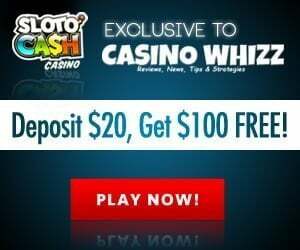 The free spins is activated when 3 free spin scatter logos appear any position on the reels during the base game. 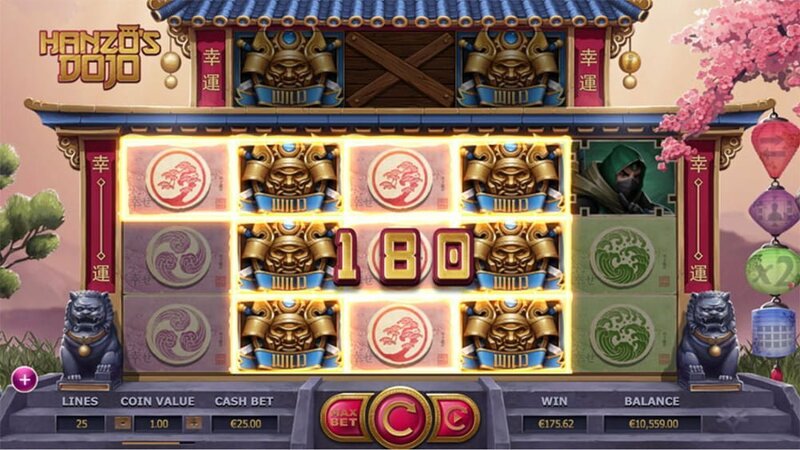 Keep a close eye on the Dragon Free spin symbols because they award an extra 4 free spins as well as an added feature. When the 3×3 Colossal Symbols pitch on the middle reels another free spins will be given. 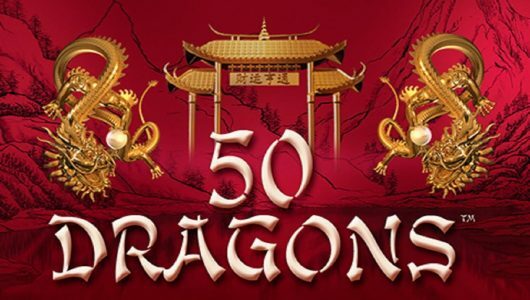 In terms of added features you’ll get another 2 free spins, a Colossal Symbol nudge of 3×3, 2x multiplier or a wild on reel 5 for every Dragon symbol that appears. Hanzo’s Dojo has an interesting game mechanic and plenty of in-play bonus rounds. 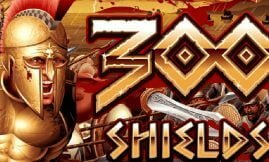 The most important bonus features are the Mini Slot which gives you up to 3 wild reels and the free spins feature with its Colossal Nudges, more free spins, win both ways pays and a 2x multiplier that doubles all wins. Furthermore, pay close attention to the Dragon free spin symbols because they’re responsible for the big wins. It takes around 50 to 75 spins before a bonus feature is triggered.